Winter locks thrown off with increasing frequency in Austria; all expected to open by the beginning of June. The west side of Silvretta Hochaplenstrasse. Photo @DriveEurope. More photos below. The vast majority of Austria’s sixty-odd mountain pass roads are now open after the winter. Just a few stragglers remain though they should all open by the beginning of June. Next up, tomorrow (Friday 8 May) is the 1930m Maltatal Hochalmstrasse, just to the west of the A10 Salzburg-Villach ‘Tauernautobahn’ in central Austria. Legend has it that this is where slave labourers mined the granite used to build the A10 during WW2. Gmund, at the bottom of Maltatal, is where Ferdinand Porsche set up in 1944. A private museum marks the spot. The day after, (Saturday 9 May) the 1740m Pitztal road up to the Pitztal Glacier south west of Innsbruck is back on track after a reconstruction. The last day of May (Sunday 31) sees a rush spate of openings. 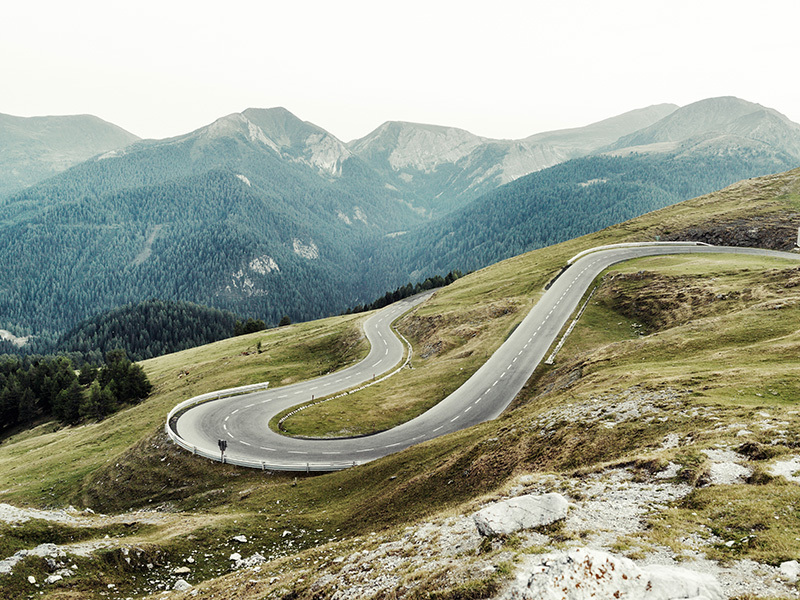 Most exciting – for James Bond fans – is Timmelsjoch down to the Italian border. It marks the 2015 season with a brand new, futuristic toll station. B186 Timmelsjoch is south through Solden where part of Spectre was filmed earlier this year. 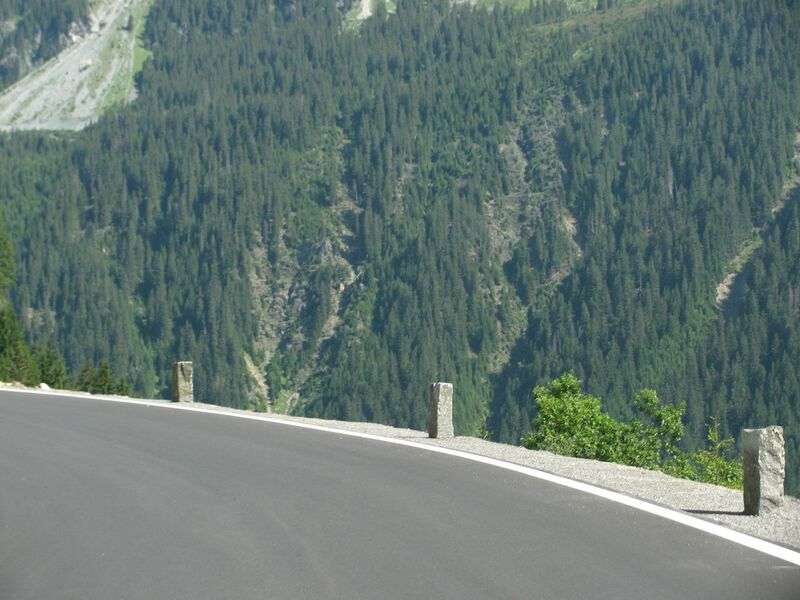 (Much of the action takes place on the resort’s Otztaler Glacier Road, the highest paved road in the Alps, at 2830m). Also opening on the same day are Furkajoch (1761m) near Lake Constance in the west; Hahntennjoch (1884m) a handy way in high summer to avoid the queues on B179 Fernpass to Innsbruck; and, Staller Sattel, another cross-border road with Italy, the scenic route between Lienz (at the bottom of Grossglockner), and Brunico, near the top of the A22 Brennero autostrada. 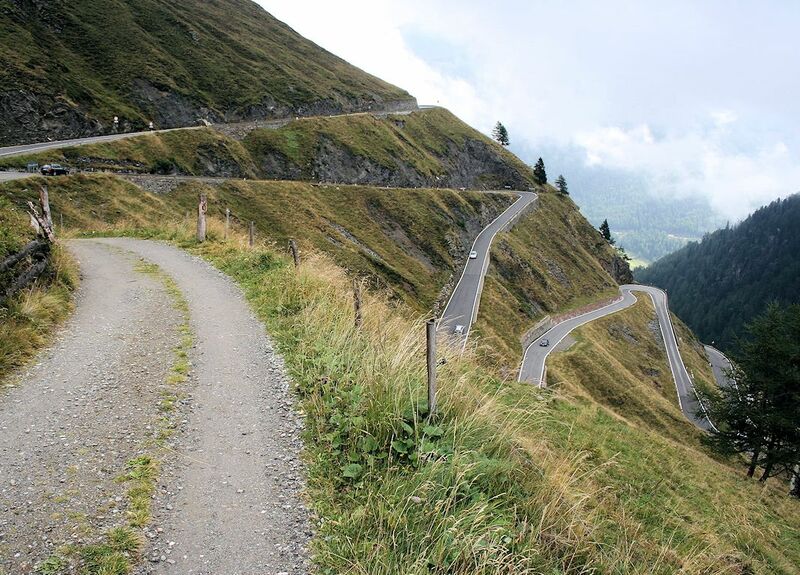 Solk Pass, opening on 1 June, at the eastern edge of the Austrian Alps, is an outlier in all respects. Reputedly quiet most of the year, and topping out at 1790m, it comes into its own during events at the nearby Red Bull Ring, host of this year’s Austrian Grand Prix. 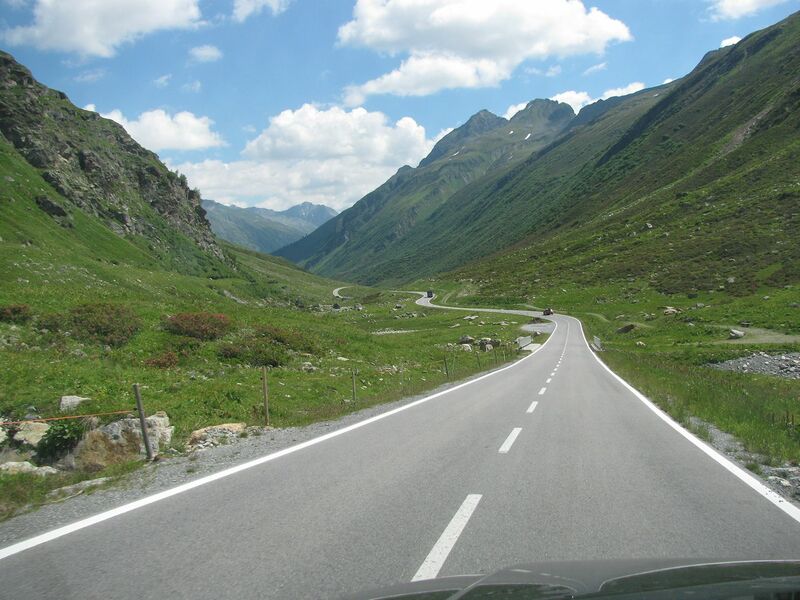 Finally, toll road Silvretta Hochaplenstrasse, one of Austria’s blue chip alpine roads, host of first order classic rallies – three separate cascades of ever higher hairpins in the west, gentle, beautiful long-valley ascent in the east – also opens for summer on 1 June. Find these roads, and open times and prices for the toll roads, on PassFinder. Sources ACE-Online AlpenPasse and ADAC Alpenstrassen. The east side of Silvretta Hochalpenstrasse.